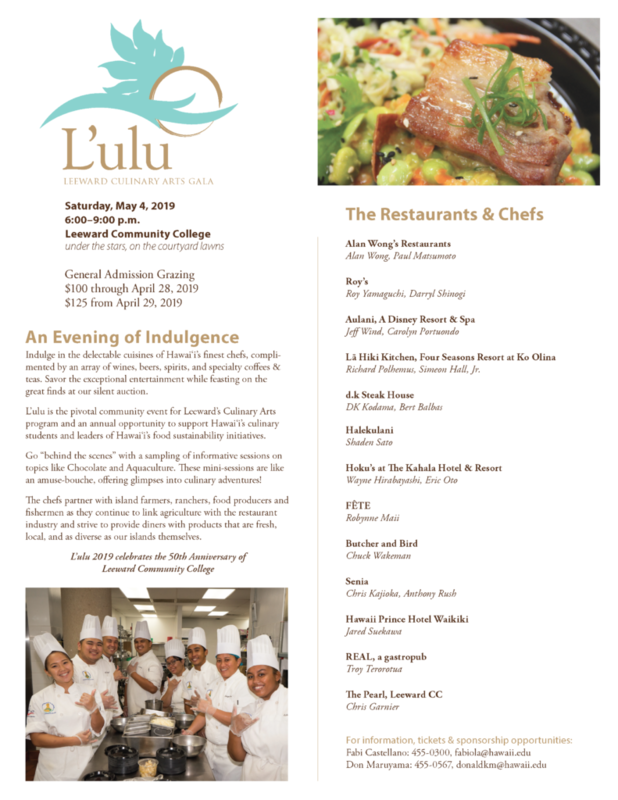 A wonderfully delicious way to support the Leeward Community College culinary arts program! Happening Saturday, May 4. Take advantage of the early-bird price ($100/ticket) until April 28! General Admission, $125/ticket thereafter. 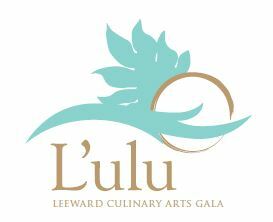 L’ulu is the pivotal community event for Leeward’s Culinary Arts program and an annual opportunity to support Hawaii’s culinary students and leaders of Hawaii’s food sustainability initiatives. 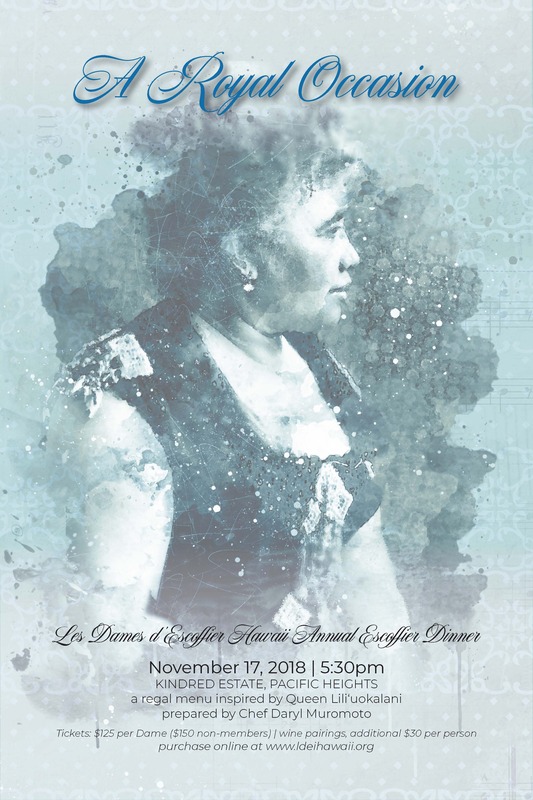 For those Dames who are also Leeward faculty/staff, a special discount is being offered: $85/ticket (regular price $100). Contact Fabi Castellano (see flyer for details).